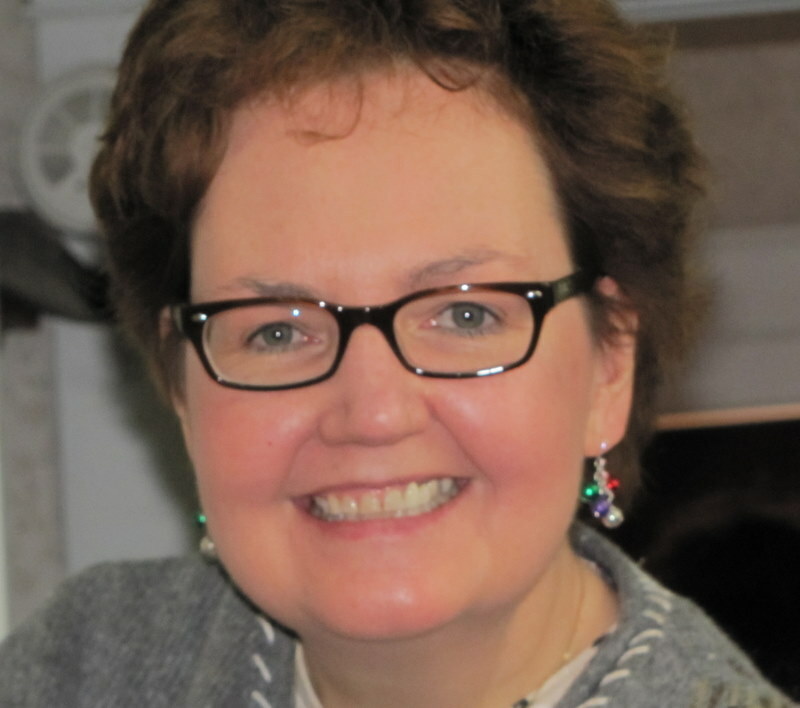 The Graveyard Rabbit: Meet Jacquie Demsky Wilson, Author of "Stone Gardens"
Meet Jacquie Demsky Wilson, Author of "Stone Gardens"
"All cemeteries are extremely valuable archives of history, as well as memorials to the people who are buried there." Hello, my name is Jacquie Demsky Wilson and my blog is Stone Gardens. 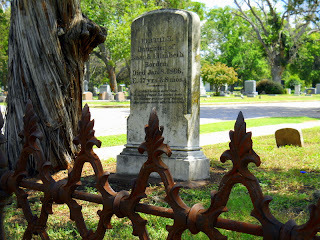 My blog is basically a photo blog of all the cemeteries I have visited with local history and genealogy mixed in. Although most of my blog entries concern Texas (near 100 cemeteries visited), I have photographed over 100 cemeteries in 15 other states and three foreign countries. I want to show viewers that cemeteries are great places full of history and architecture. I try to visit cemeteries on a regular basis. Even when I go out-of-state, I try to find cemeteries along my route. Several times, I have turned around in the middle of the road if I passed by a cemetery. A fun, yet at times, dangerous obsession! I have not always been drawn to cemeteries. As a child, I went to cemeteries for the occasional family funeral but never gave a thought about the surroundings. At the age of seven, my family moved to Wells, Vermont, where our house was directly across from the town cemetery. It was a small town with not much for kids to do, and so my siblings and I would play in the cemetery. 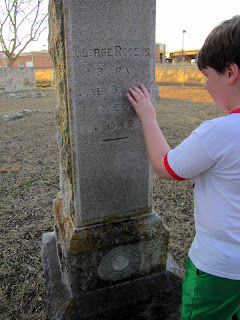 We enjoyed tracing the headstones (that dated back to the 1700s) and playing hide-and-seek at night. In 2007, I went out with a photographer friend to do some Texas landscape photography. We stopped at one cemetery and that is when and where my fascination with cemeteries truly began! Since I am the unofficial family historian; I see it as one of my responsibilities to visit cemeteries. I have been interested in my family’s history since I was a young child. I remember badgering my grandmother with “who was who” and “how are they related” questions. 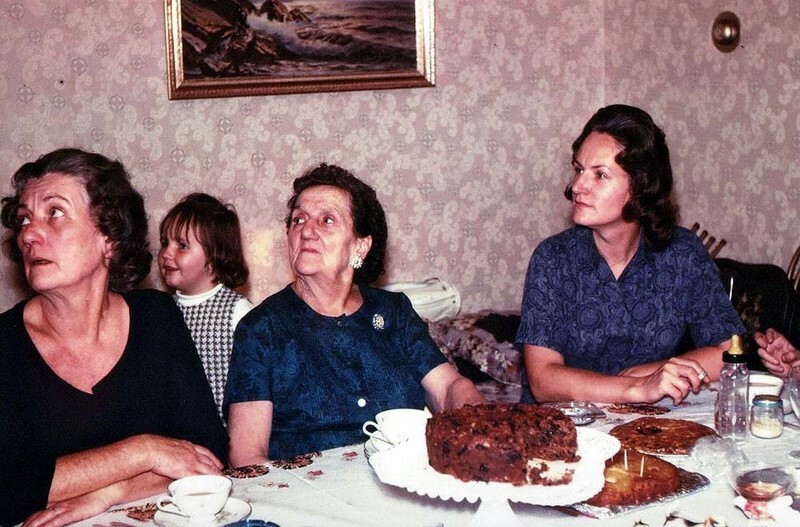 I take great pleasure in looking at photos, especially old family photos. Searching for and discovering my ancestors and learning about their lives is another thrill for me. Over the past 35 years, I have researched, compiled, printed and distributed over four volumes of information on the Cooke and Demsky families. I work as a redactor and archives technician at the Lyndon B. Johnson Presidential Library, in Austin, Texas. I have a B.A. degree in Historical Studies, and three months ago, I received a M.L.S. degree in Library & Information Studies. My dream is to become a genealogy and local history librarian. At this time, library jobs, especially those pertaining to genealogy, are extremely difficult to find. So, I have been joining local, county, state and national historical and genealogical societies as a way to network, volunteer and learn. When I do experience any free time, I enjoy traveling, scrapbooking, the metaphysical and reading. 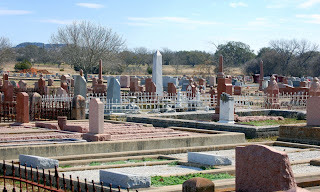 I am a member of the Association for Graveyard Studies, Save Austin's Cemeteries, GenealogyWise, Austin Genealogical Society, Texas State Genealogical Society and the Williamson County Genealogical Society. 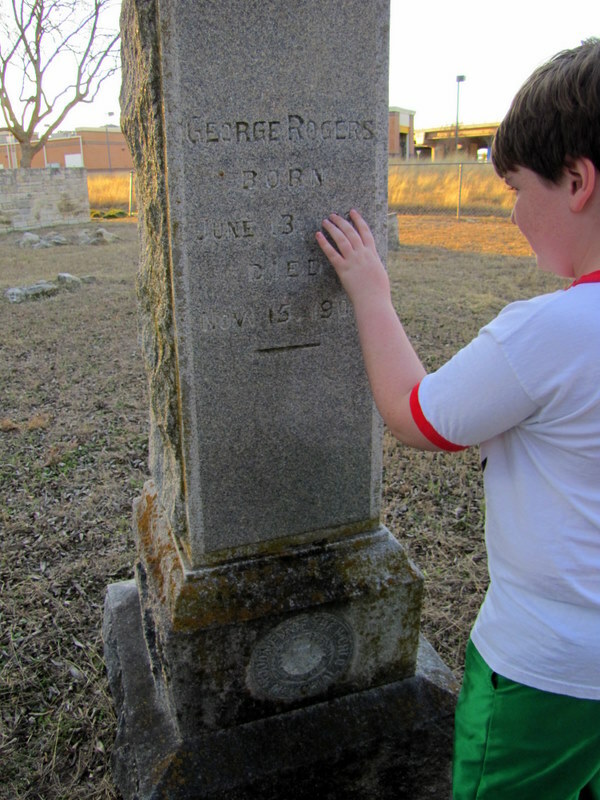 I am also a Find a Grave photo volunteer, Family Search indexer, Flickr photo contributor and Ancestry.com subscriber. The older cemeteries, especially those from the Victorian era, are of great interest to me. I enjoy photographing the unique gravestones, especially the angels. The newer memorial parks, with the flat markers, are not so appealing. 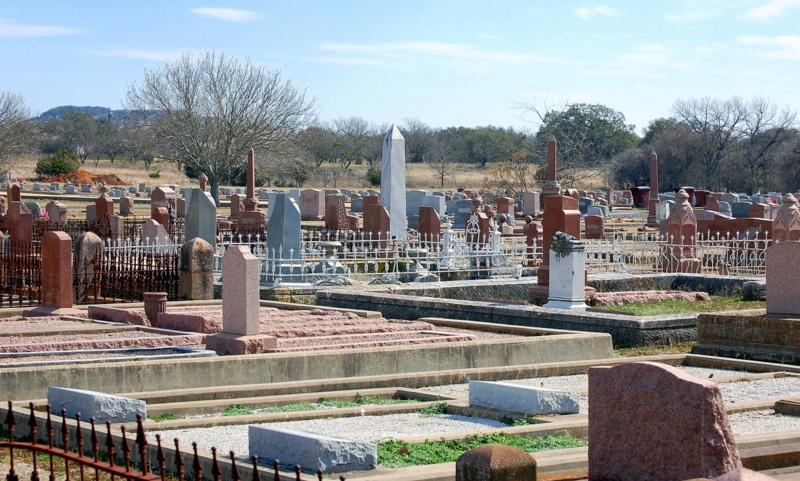 In Texas, there are many ethnic cemeteries to explore, from Scandinavian to German (the sense of order and no wasted space) to Hispanic (the most colorful and, if I can say, liveliest). With my blog, I feature gravestone symbolism on Mondays; Wednesdays deal with historical gravestones; cemetery crime stories on Thursdays, Fridays show the unusual stones I have come across in my travels; and, Sundays are “silent” with only photos of especially moving gravestones. I weave in blog entries regarding genealogy, when I can. My family accepts my cemetery obsession but friends think it’s a bit odd. I have always been strange in one way or another, so I just say, "to each their own". What interests one doesn't always interest the other. I’m not ashamed to admit that I have bribed my 11-year-old son to come exploring with me! My husband has told me that I enjoy dead people more than those still living! As a mother of two children and with the craziness of everyday life, I have found that cemeteries have a calming effect on me. And in a cemetery, no one talks back to me! Sometimes, I stop by a cemetery on my way to work just to relish the peace and quiet for a few minutes (which can turn into an hour or more, if I’m not careful). I like to visit the graves of those long gone and forgotten, as a way of telling them someone is thinking of them. Speaking of family, I have a great story to share. 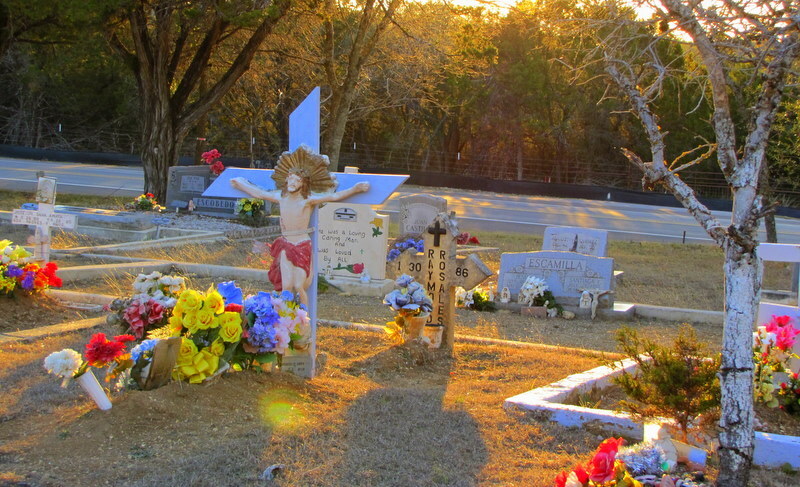 Last summer, the Save Austin’s Cemeteries group decided to come up with a 2011 calendar, in order to gain awareness of the five city-owned cemeteries. 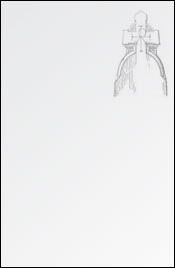 The group asked for photo submissions, which would be voted on by viewers of their website. 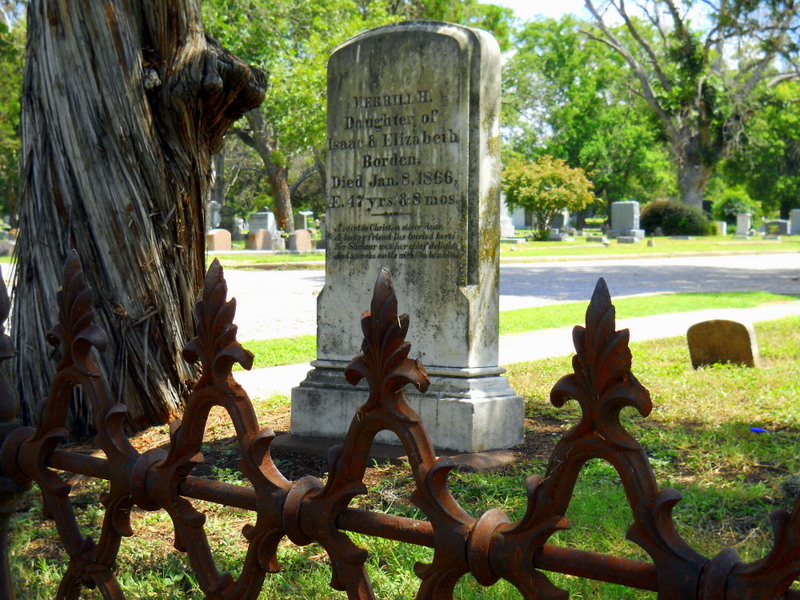 One of the five cemeteries is my local favorite - Oakwood Cemetery, one of the largest cemeteries in Austin, with gravestones dating back to the 1800s. I went through my photos of Oakwood and decided to visit once more. This time, however, my 16-year-old daughter came along. You can imagine how she felt, stuck in a cemetery with Mom! She did not want to get out of the car but after a bit of nudging, she got out and I remember telling her, “Just think, you may submit the winning photo.” Well, guess what? One of her photo submissions garnered the most votes in the contest (photo on right) and was put on the inaugural calendar’s cover! She was absolutely thrilled, as was I. The photos we submitted (I even persuaded my husband to take a few) grace five pages of the calendar! What advice do I have for would-be cemetery rabbits? Connect to other blogs (there are many! ), learn from the others, and blog what feels best to you. I enjoy reading the blogs of other GYR members who have the same interests as me. 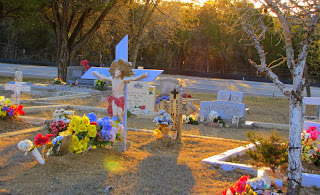 I never thought there would be so many others in the blogosphere that enjoy cemeteries. Some days, all I want to post are photos, but then I feel guilty if I don’t post information of specific individuals buried in the cemetery. If you’re not into posting obituaries, death certificates, etc., then don’t do it. Another suggestion: If you desire constant feedback on your blog, you may rethink blogging. There are times my blog goes for weeks without viewer comments. It’s great to know someone is looking at your blog when they comment, but don’t worry about the number of comments. You must enjoy what you’re doing!